Kia is setting its sights on the growing 'self-driving automobiles' segment after the automaker announced that they will be fit their entire lineup by 2020 with semi-autonomous driving technologies. 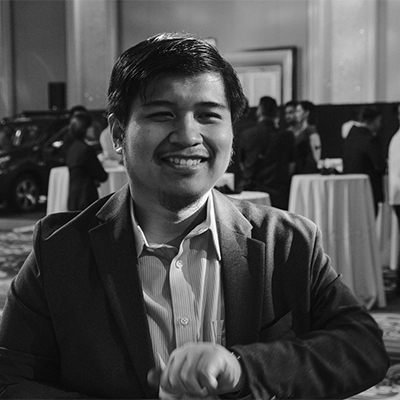 With an initial investment amounting to $2B (about PhP 94.5B), the company will be able to develop their own self-driving software called Advanced Driver Assistance System (ADAS) and be able to hire new engineers. Even though ADAS is still in its early stages of development, Kia is already working on a range of tech that will allow the system to partially drive the car by itself. First is Recognition, wherein the car uses a myriad of sensors that can detect other cars and even see road hazards ahead. Next is Judgment, an computing system that allows the systems to make decisions based on information gathered. Last is Control, which works in tandem with Judgment as this one 'carries out' the decisions handed out by the autonomous driving tech. Other features that are being developed for ADAS include Highway Driving Assist (HDA). This system works with a combination of Lane Guidance System (LGS) and Advanced Smart Cruise Control (ASCC). When in use, the system maintains a safe distance from cars in front while also keeping the car in a specific lane and following the allowable speed limit. It can also help drivers overtake other cars by. There is also Traffic Jam Assist (TJA), which works like HDA but has been tuned to work in a more congested setting. TJA also helps maintain a safe distance from the car in front and maintain the car in a specific lane. Park assist features like Smart Parking Assist System (SPAS) will also be improved along with the planned introduction of Remote Advanced Parking Assist System (RAPAS). With it, a user can remotely command the car to park by itself. “Fully-autonomous vehicles are still some way off, and a great deal of research and rigorous product testing will need to be carried out to make the ‘self-driving car’ a reality. Kia is still in the early stages of developing its own technologies, and we are confident that the latest innovations – both partially and fully autonomous – will ultimately make driving safer for everyone,” said Tae-Won Lim, Vice President, Central Advanced Research and Engineering Institute of Hyundai Motor Group. By 2030, Kia plans on releasing 'fully-autonomous' cars. The cars will be able to navigate through towns and motorways by utilizing an array of sensors and hardware that will be able to recognize information from vehicles, buildings and other infrastructures. Leaked: Is this the 2016 Mazda CX-9?